Working dogs with activity-filled days sleepless, while those who lead sedentary lives will sleep more. Like humans and other mammals, dogs progress through different stages of sleep. Also, like us, dogs experience REM sleep. Dogs are flexible sleepers. They have no problem adjusting their sleep schedule to their owner’s needs. If you work a 9 to 5 job, your dog may adapt to spend more of the daytime sleeping, so he can be awake and available to play with you when you get home at night. Working dogs like police or service dogs have more energy and can stay awake for longer stretches of time performing their important duties. 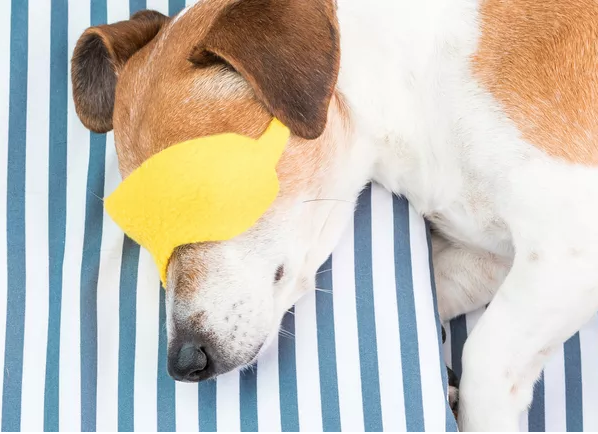 Follow these tips to give your pup more restful shut-eye.